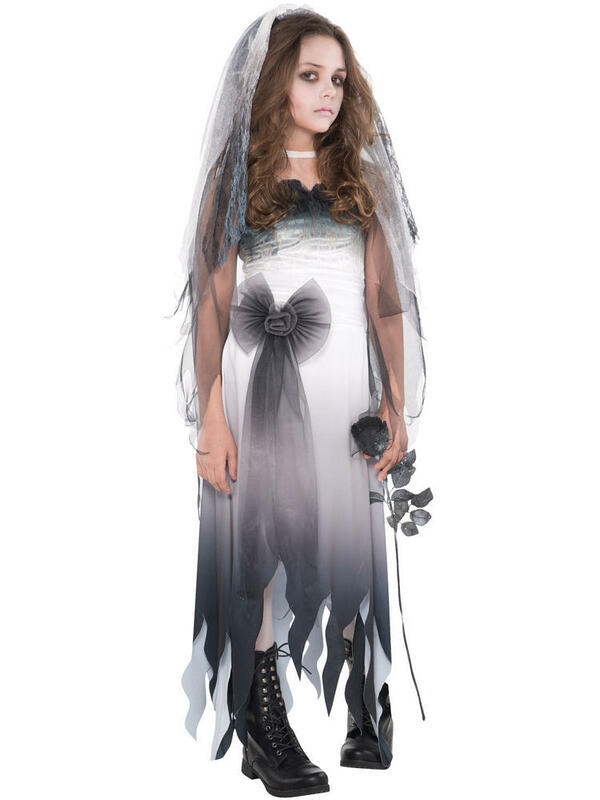 Transform yourself into a Corpse Bride this Halloween with this Ladies Zombie Bride Costume. 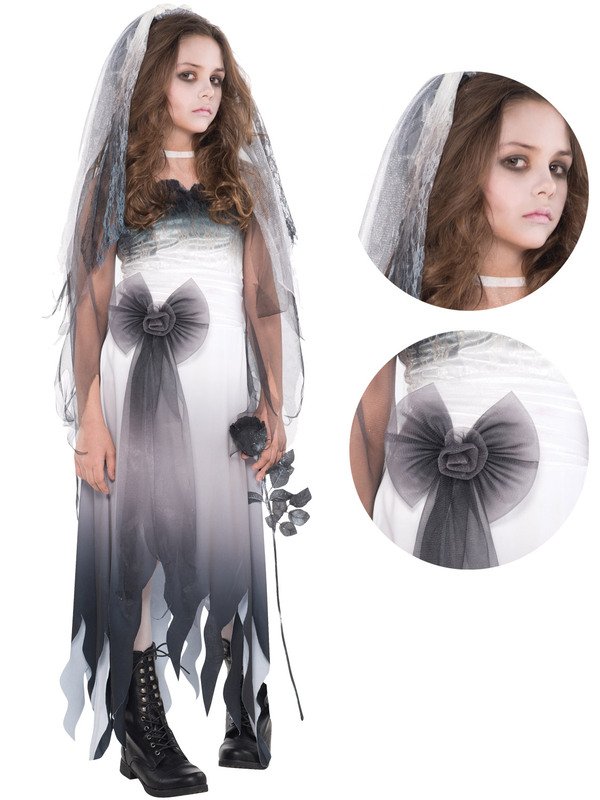 Includes a tattered wedding dress with lace detail on the bodice, a bow with a rosette at the waist, grey ombre effect on the skirt and an uneven hem. To complete the outfit is a matching veil headband. Please Note: The sizing on the packaging may differ to that of the sizes we have stated on this listing.